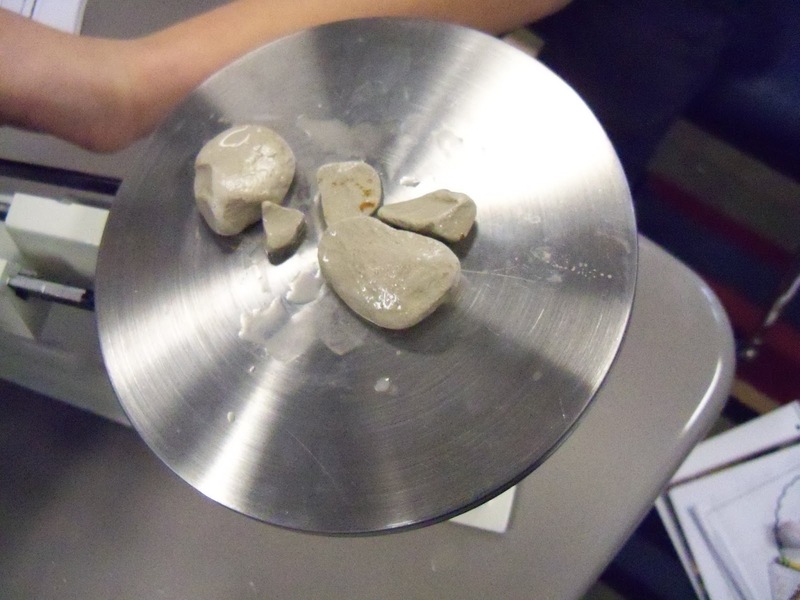 To test how water can change the shape of rocks, we had to get a little creative. Obviously we don't have the kind of time to watch weathering, erosion, and deposition in real-time. 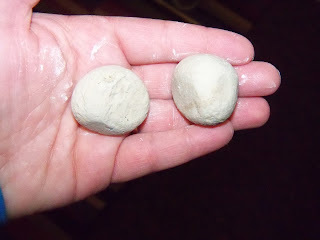 :) In order to speed process up a bit, we used limestone rocks that had been soaking in water overnight. This made them very soft. 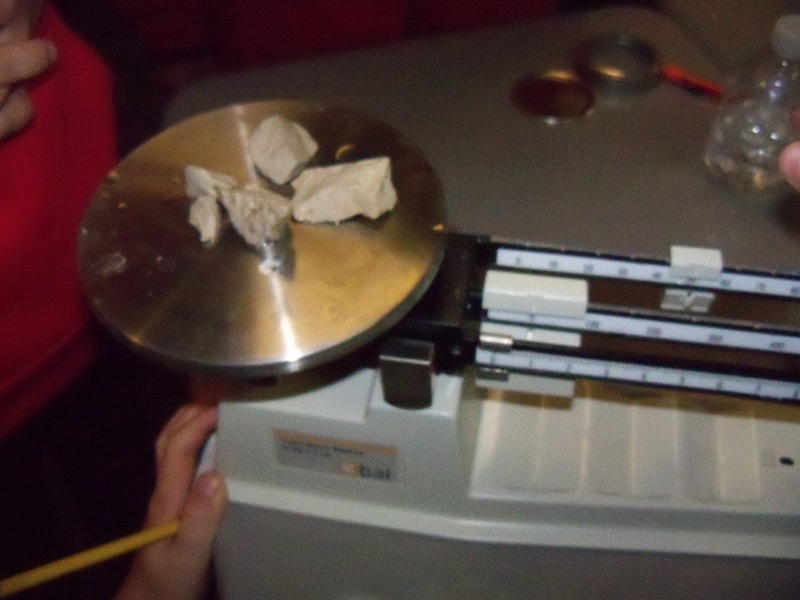 We weighed the mass of our rocks, which was 54g. We also observed the rocks' edges were very jagged and sharp. 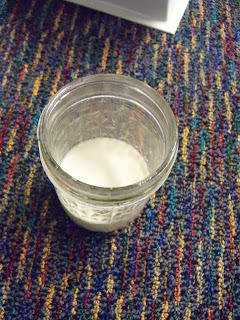 We put our rocks into a glass jar with about 1/2 cup of water. We shook our jar for 3 minutes, removed our rocks, and checked their mass again. 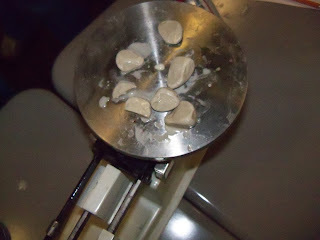 This time, the mass was 46g, and the edges of the rocks were smoother and more rounded. We put our rocks back into the water and shook again for 6 minutes. This time, when we measured the mass, it was35g. By now, the rocks were completely smooth, and much smaller. The water was completely full of sediment by this point as well. We discussed how this is related to a river rushing over pebbles. They become more and more smooth, and will eventually become smaller in size.